Sweeten Your Textile Stash with From the Market! From the Market: Sweet swatch samples! We were so pleased to see this spring/summer collection roll into our warehouse! From the Market, designed by Jennifer Pugh and licensed by Wilmington Prints, features a gorgeous (and appetizing!) palette of fruity colors along with realistic, rustic graphic screen prints. 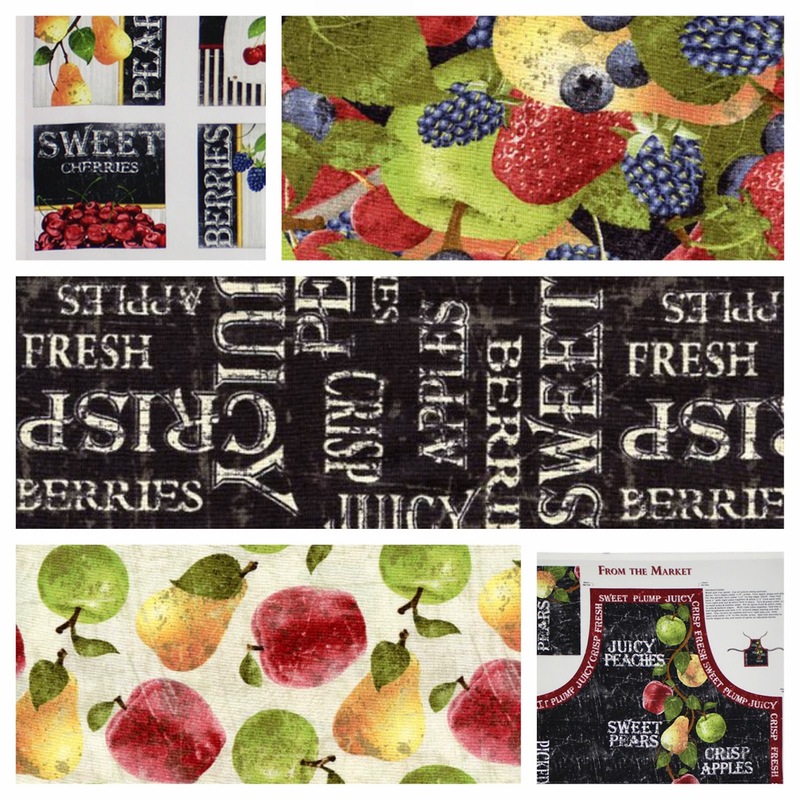 Fruit collages intermingle with textual prints and a handful of great, practical panels. From the Market also features a handy apron project panel, complete with cutting and sewing instructions printed right on the fabric. From kitchen curtains and place mats to summertime quilts and interior decor, From the Market is ready for it all! Looking for some inspiration to help get you started? Check out this thorough PDF file from our good friends at Wilmington Prints. As always, you are welcome to share your completed projects on our Facebook wall -- we love to see what our wonderful customers create!